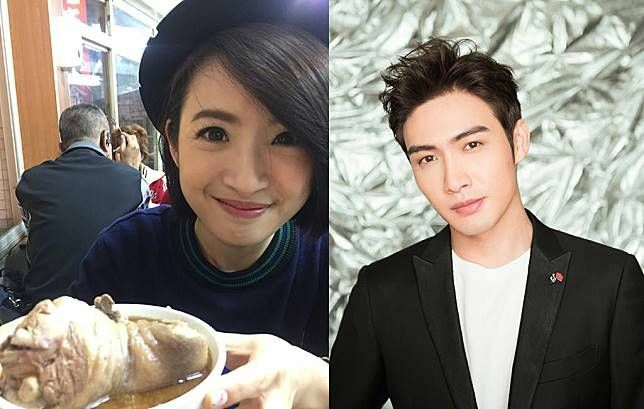 I’m thrilled that TW-actress Ariel Lin is making her first period drama in 5 years after Prince of Lan Ling in 2013. 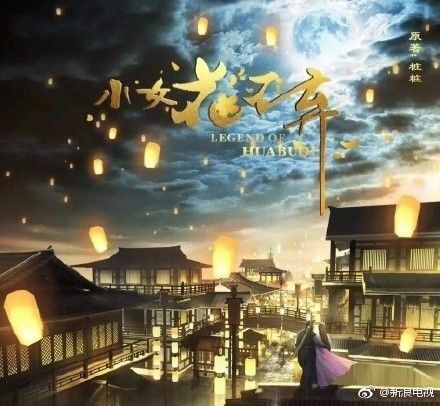 I wrote about her reported casting for this drama earlier and now filming has started for Legend of Hua Bu Qi (literal title translation I am Hua Bu Qi). The earlier casting reports did not name a male lead but it will be C-actor Zhang Bin Bin (Vin Zhang) who was a supporting actor for the hit Three Lives Three Worlds, Ten Miles Peach Blossoms as the Ghost Lord. Hua Bu Qi is about a pair of marriage swindlers in modern day who fall off a cliff and time travel to the past where she becomes a beggar girl and he’s the heir to a powerful family. They meet again 13 years later and fall in love against the backdrop of their new identities. I’m super stoked for this drama and casting so here’s a great big yay for Ariel’s period drama return in 2018! Zhang Vin is a total snack. He makes living in a world where Wallace is wed with a baby much easier. Thank goodness we finally get a drama where he is not paired up with Dilraba, I mean their cute but there were getting to that point of becoming Nadech and Yaya. I will second this. I have no issues with Dilraba but I can’t believe I’m watching them again in The Flame’s Daughter and everyone’s salty about Vic Chou allegedly being the lead. The Prince of Lan Ling was my first Chinese/Taiwanese (never sure about who produced) drama and one of the few I’ve watched twice so Love Ariel Lin as well. I second the world where Wallace is wed with a baby. 🙁 I still need to watch the King’s Woman before making any opinions on his pair with with Dilraba. I loved him in Three Miles…. My binge watching days are definitely gone. Lmao!! Funny you mention Nadech and Yaya with the lack of Thai entertainment news on this site. NY has a massive following so a lot of people still love them together but I would have to agree with you. Zhang Bin Bin is gorgeous, I think he will only become more and more popular. I miss Ariel so much and I’m so frigging glad she’s back in dramas, especially opposite my current obsession Zhang Bin Bin!! Although…time travelling? Saying its been overused is a huge understatement. I miss Ariel and shes so forever young and pretty. We got lucky shes paired with someone who can act and has great charisma. I foresee great chemi. hope this is a show that wont stay too long in post production. Some dramas took like 4 years post filming to air. Yes! I’m so thrilled. Zhang Bin Bin is my current obsessed too. And this time with Ariel! I’m so happy. @Ariel: It is one of several logical next steps following the realization that stem cell therapies don”t seem to be producing as much cancer as feared. If that is possible with minimal cancer risk, then all sorts of other conceptually similar adjustments are also in principle possible, and should be tried. Finally Zhang Bin Bin will be the male lead. Sick of him being the second lead. Really love him with Dilireba but he never gets a happy ending. Looking forward to the new drama as Ariel and ZBB are great. Now I am following Hua Buqi and I love the drama very much, really obsessed too in seeing Ariel and ZBB! They have so much chemistry! The drama is so cute, hilarious and romantic. The whole cast act very well. This is my second most favorite drama after Princess Agents! I love both cute and pretty Ariel and handsome and mesmerizing ZBB! I hope the next female lead for ZBB is Chinese actress Li Qin of Princess Agents fame.